Using industry-standard equipment, ProActors are able to create from scratch the film your organisation is looking for. 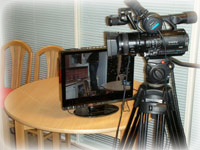 We write the script, provide equipment and film crew (plus professional actors, and voice-over artists if needed), edit the production and provide you with as many interactive DVDs as you require. It’s our job to ensure that your film is exactly what you want it to be – a series of training films, a community project, a documentary or a promo. The choice is yours. We can produce corporate, schools or community films in a variety of styles including documentary, reportage, creative,or as a record of training or evidence. 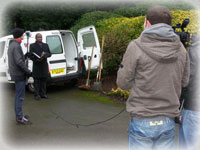 To see 15 short films commissioned by Birmingham City Council, PDR – Improving Performance Together, click on this link http://www.youtube.com/bcclearning.